I have to be honest here. We are not very healthy eaters. Edward and I we both like heavy food and.. always big portions. Since I am 8 months pregnant now, I do try to change my diet at least a little bit – by eating healthier. 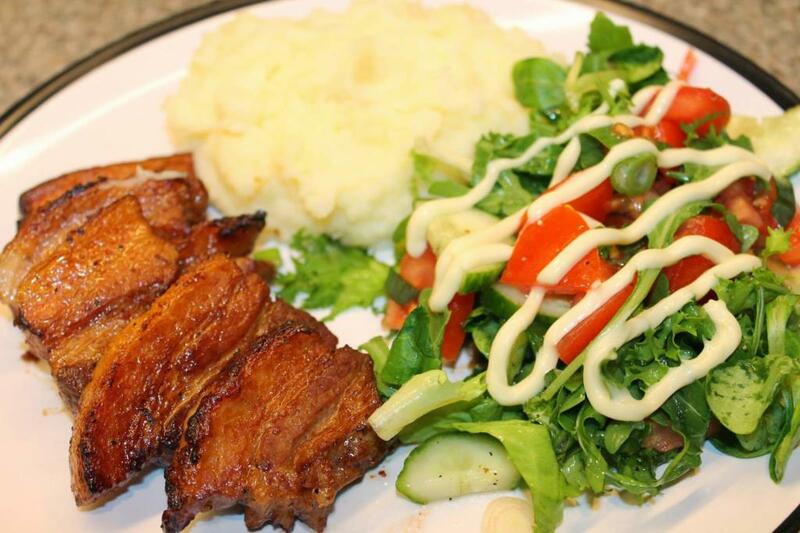 Also to eat more fruits and salads..
One of my little sins or time to time cravings is belly pork. Love it. Roasted or strips – doesn’t matter. Couldn’t resist to my craving today and that’s how I prepared it for dinner. Cannot be simpler, quicker and tastier! Preparation is super easy! My 2 years daughter could easily do it ha ha. Firstly cut belly pork strips in half (or 3 parts if you like it smaller). Put all in a bowl. 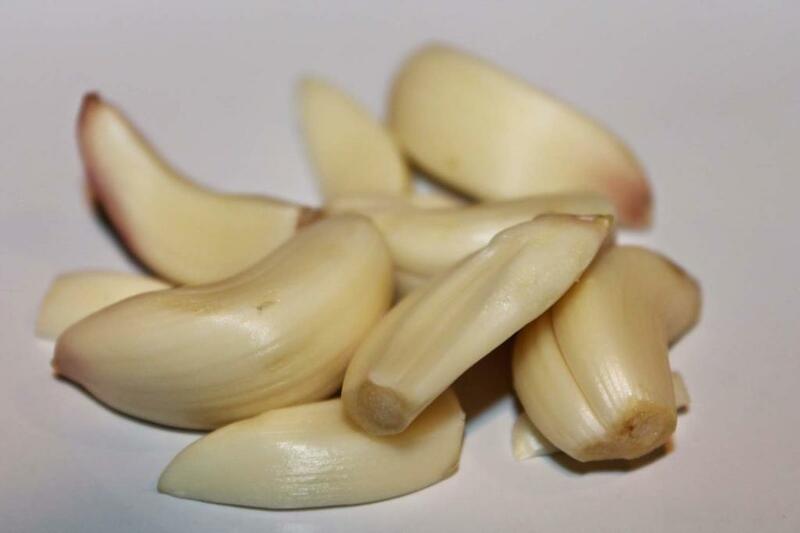 Mince your garlic with garlic press, finest side of a grater or finely chop it by using knife. 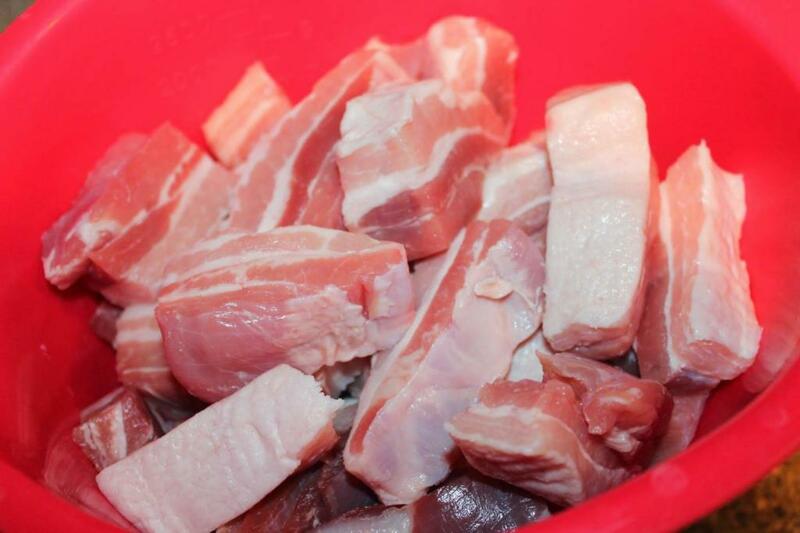 Add all onto your belly pork. Add soya, honey, salt and pepper. (Sorry for my picture with salt and pepper upside down). 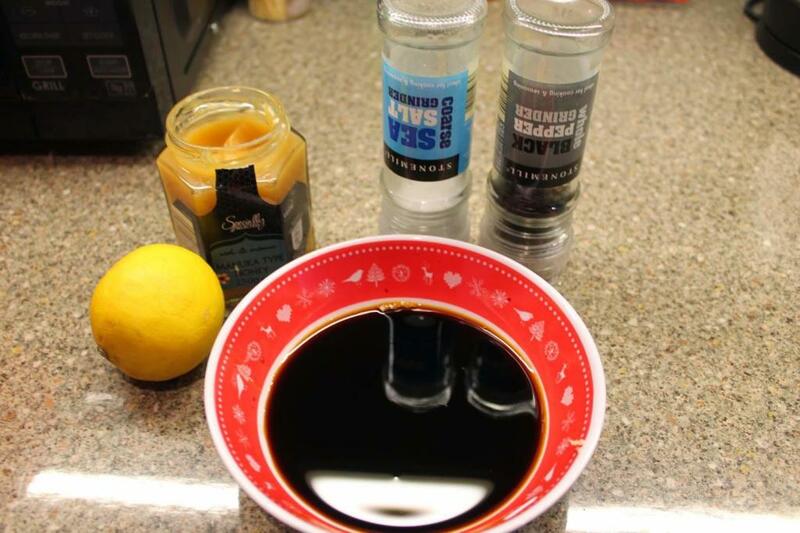 Cut lemon in half and squeeze both into your bowl with pork. Mix well. 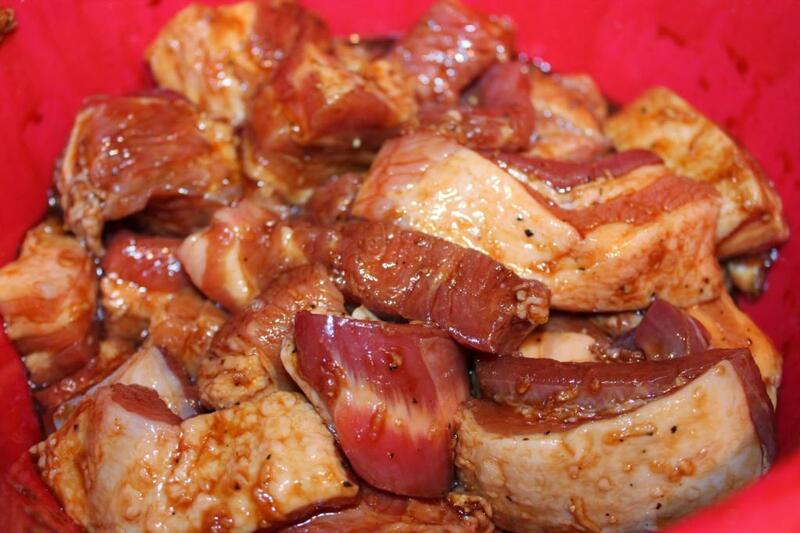 Depending on how much time you have, leave your meat to marinate. I only had 1 hour and it did still turned out lovely, but more time you have, better it will be!! 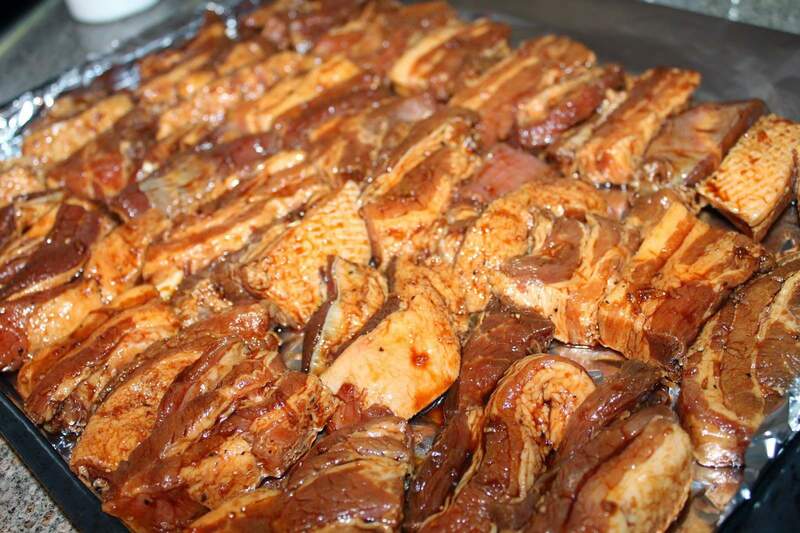 Pre-heat your oven to 180 degrees, place your belly pork slices onto a baking tray, put it in the oven and cook for about 30 minutes flipping them on the other side half way through. 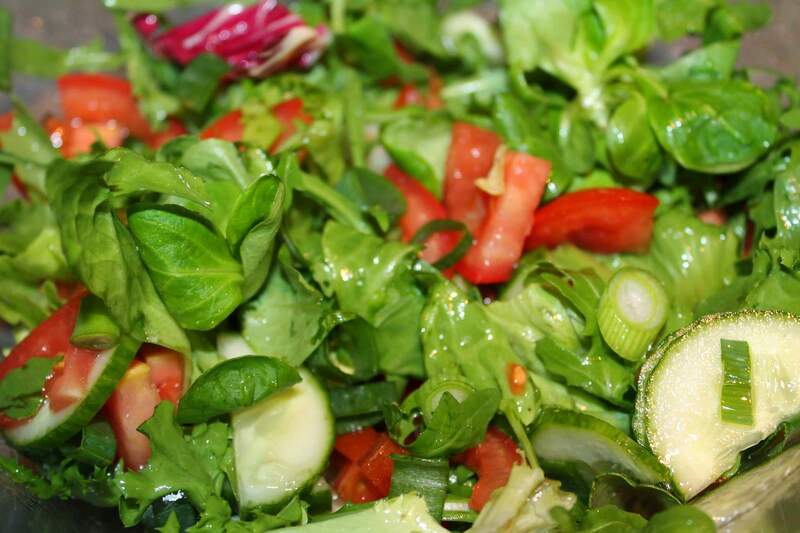 I served it with fresh salads – cucumber, tomatoes, spring onions, lettuce, rocket salads and dressing, plus mashed potatoes. Family loved it! This entry was posted in Pork, Recipes, Uncategorized and tagged Uncategorized by Justina. Bookmark the permalink. This recipe was simple and yummy. I could have eaten the whole pan. I found the pork belly at CostCo and it was already sliced and without skin layer that I see in the roast recipes, so I’m glad I tried this recipe. My first time to cook this and it won’t be my last. Can’t wait to serve it to company. Cook at what temp? This says 180??? ?